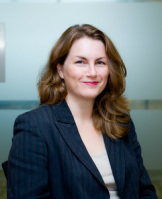 Lucy Reed is a barrister at St John’s Chambers in Bristol, with fifteen years of experience as a family law specialist. She regularly delivers seminars to lawyers and other professionals working within the Family Justice System about developments in family law. She is also a well known family law commentator. She has been writing Pink Tape, her respected family law blog for over a decade. The blog aims to be useful and accessible to the lawyer and non-lawyer alike and its success, together with the feedback she receives while writing it, are a major inspiration for this book. Lucy is the Chair of The Transparency Project, an educational charity which works to make family justice clearer and has been involved with other public legal education projects such as www.familycourtinfo.org.uk. Lucy was awarded Bristol Law Society’s ‘Barrister of the Year’ in 2016. Lucy has also developed a series of short videos to help litigants in person with some basics relating to the court process. Lucy grew up in the West Country and went to Clevedon Comprehensive School, and later studied English at Exeter University. She obtained her Masters at Birkbeck, University of London, going on to take a 2 year sabbatical as President of the Birkbeck Students' Union, during which time she set up an evening Advice Centre that the mainly mature students could access after finishing work, and acted as a Governor of the College and represented many students in dealing with complaints and academic appeals. It was this experience that led to Lucy going on to train as a barrister, first converting her degree to law at City University, and subsequently undertaking bar training at ICSL. During this period Lucy worked part time as policy officer for Walthamstow Volunteer Centre, later going on to become a trustee. Lucy undertook pupillage at 29 Bedford Row, and was a tenant at Tanfield Chambers before moving back to Bristol with her American husband shortly after the first of their two boys was born in 2008. Lucy has a longstanding committment to voluntary and community work including pro bono work, and is a Bar Pro Bono Unit panel member (£1 from every copy of this book sold is donated to the Bar Pro Bono Unit). Lucy tweets as @familoo and nofamilylawyer.